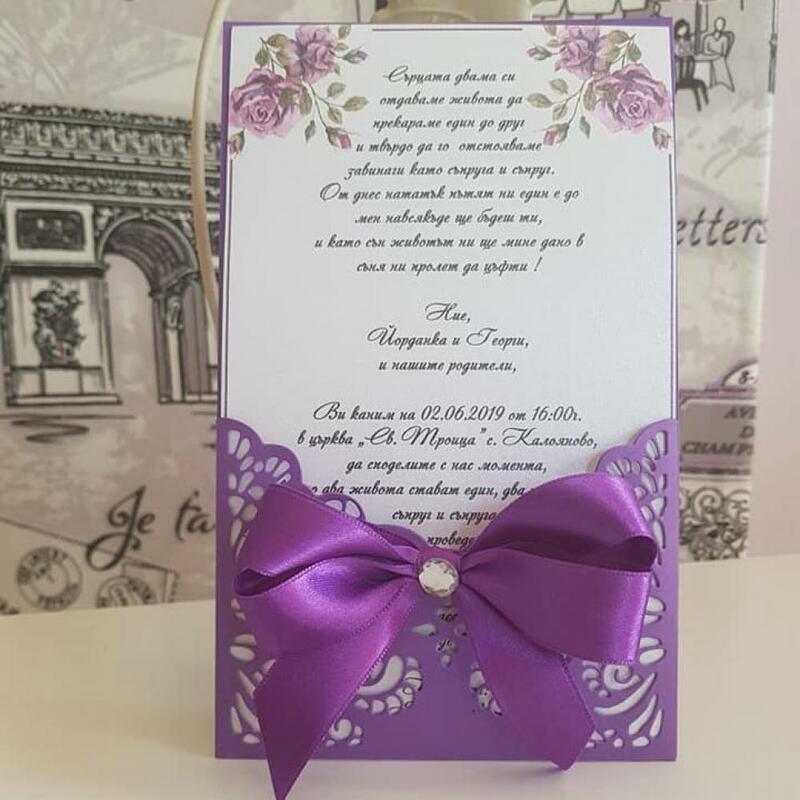 Here we present a pleasing and gentle luxury wedding invitation, handmade with high quality pearl cardboard and decorated with a purple satin ribbon. 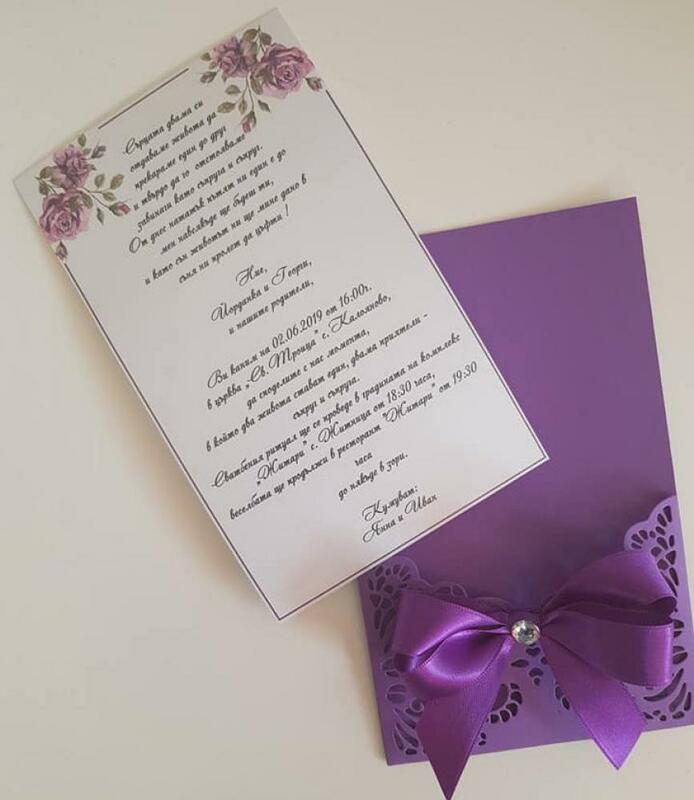 The invitation presented here is fashioned in purple but can be changed to a colour that suits you. We require the text you send to be in a format convenient for copying and pasting. We will then prepare a personal project with your text featured in different fonts. Once you have selected your favourite text style from our examples, we will begin printing your invitations.